The human visual system is an amazing network of anatomical structures. Even minor changes in the structure or function of a component of the eye can significantly affect visual acuity. Because we rely so heavily on our visual system to receive and process information, it is essential to keep the eyes functioning properly. Visit your eye care provider regularly for a vision check-up to ensure any of these common eye conditions are diagnosed and treated properly. 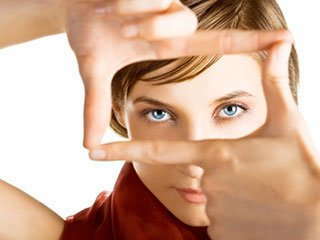 If you experience any change in vision, visit an eye care provider immediately. An eye exam is essential to monitoring eye health, preserving your vision for life. New Client Special! Receive 40% off any frame in stock with purchase of lenses! *Please call for more information on additional hours not listed. "I was having headaches and felt my contacts were easily drying out all the time. I went in to see Dr. Anderson and after an evaluation, he suggested a switch in the type of lenses I use. Within a week of using the new lenses, I noticed a change and haven’t had any problems since. Thanks, Dr. Anderson!" "I had considered Lasik surgery in the past, but was still hesitant about the process. Dr. Anderson was very thorough in his consultation with me and answered all of my questions, making me feel comfortable with going forward with the procedure. I’m so glad I did the Lasik, it has been of great convenience to me and my sight has never been better"